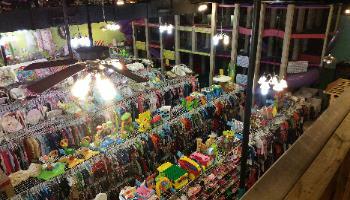 We were voted the BEST Kids Clothing & Toys Store in Naples, Florida and all of Reader’s Choice Awards 4 years in a row! 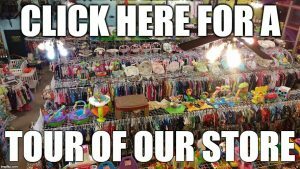 We have 8000 square feet dedicated to giving you the largest selection of Baby & Kids Resale items with the best prices in all of Collier County. 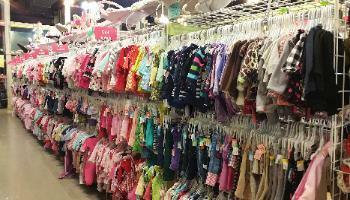 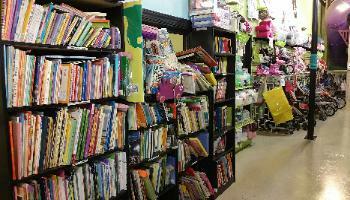 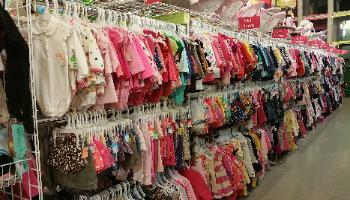 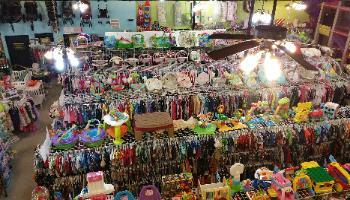 We buy, sell and trade gently used baby, & toddler gear, equipment, furniture, toys, accessories and more. 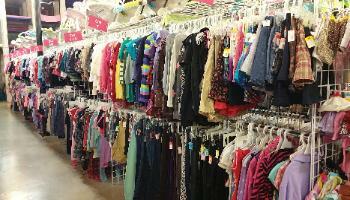 We pay you unlimited cash on the spot! 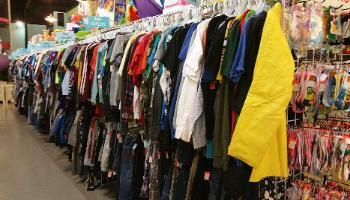 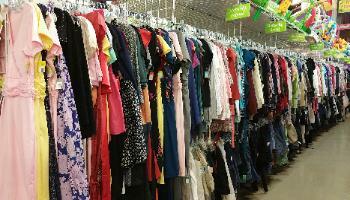 1) Bring in your clean, gently used items to our store anytime, no appointments necessary. 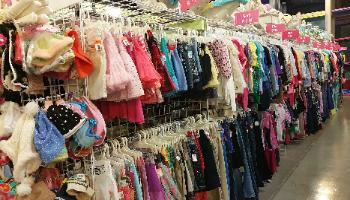 2) We will review your items and select those that meet current style, season, safety, demand and condition standards. 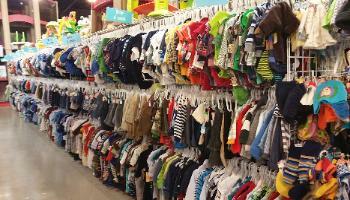 3) We make you an offer, and you get paid when you accept the offer! 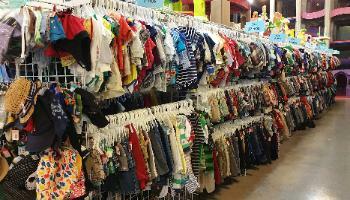 Travel: Strollers, Joggers, Tricycles, Car Seats, Infant Carriers and Slings ..
Center of our Main Sales Floor – where the majority of our resale items are available for purchase. 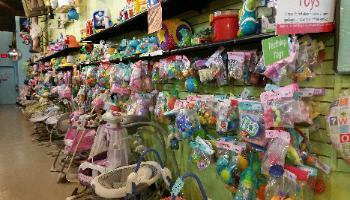 Our Toy Wall – Baby Swings and bouncers on floor and toys on hooks and shelves. 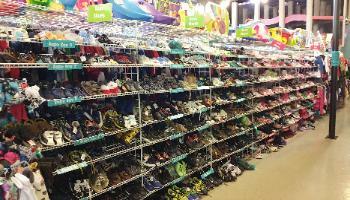 The Shoe Aisle – From newborn to kids size 3 in shoes plus big kid clearance.